Photo taken from SocialMediamx‘s photostream on Flickr. LinkedIn is now suddenly fashionable. More and more people seem to be diving in head first. The functionality is probably at its maximum, although I am sure that won’t stop the company from adding a few more Bells and Whistles. But how much do you understand? Why are you on LinkedIn and not spending your time creating remarkable content for your firm’s website or intranet? Are you willing to pick up a phone to someone once you are connected? Do you have something worthwhile to contribute to the Groups allowing for the latest Practice Note of the Law Society on Social Media? Are you willing to dedicate at least 30 minutes every day for the next 6 months to building your profile? Have you worked out what your clients are searching for on Google? 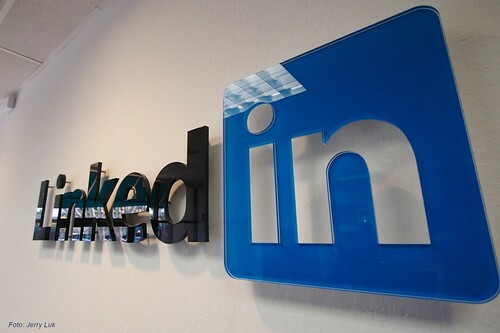 Where does your LinkedIn profile feature in that process? Do you have your firm’s permission to import (or export) all your contacts on Outlook or have you done this without informing them? Have you considered how you will win work on LinkedIn? Law firms are great at talking about things but slow when it comes to acting. Just because you are on LinkedIn doesn’t mean anything. Even if you don’t have a formal strategy, you need to think carefully about the use, application and benefits of the programme. Being part of the Law Society Group on LinkedIn is fine but will it win you work? Having Twitter as part of your profile is also fine, but what information are you sharing that is valuable to your connections? On this point, have you even thought how you might share content from elsewhere to your connections or groups that is more relevant perhaps than your (legal) material? Just remember your clients are not eating or sleeping law or its associated risk. They are much more interested in the commercial pressures and winning work. My advice would be to use Google Reader to subscribe to some high quality blogs or websites that are context specific to your clients. In the final analysis, LinkedIn will only work for you and your firm if you recognise that much like any website you have to work extraordinarily hard to make it work. Just planting a flag will do nothing. What you also have to consider is that as more and more people join LinkedIn it will be harder and harder to differentiate your proposition. My advice, start to think like a web publisher. Create content that is specific to your individual clients and start reaching out to them. Give people a reason to come to LinkedIn because it offers a unique experience. Creating a Group of your own is often a very good way to do this but don’t hog the limelight. People will run for the Exit. Of course, all this might seem too bloody hard. Or may be you just don’t have the time to spare. Fine, but the longer you stay on the outside the more likely it is that your space will be crowded out. Ultimately, LinkedIn should be a personal choice and not one compelled by your firm. And if you don’t think you will get any value out of it then don’t bother. Go and invest your time speaking to your clients.